There are several airline companies flying to Panama City. Flight time from Miami is approximately 2 1/2 hours. 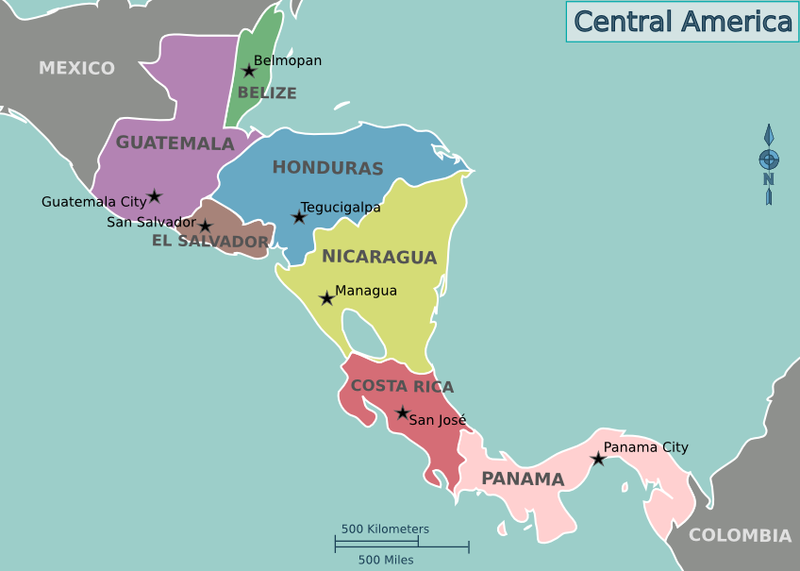 You can also reach Panama by car (some of our guests have driven from as far as California, Georgia, and Canada!) but it will take a little bit longer. If you will arrive from Costa Rica by bus, you must first go to Sixaola, get your exit stamp and go across the border line towards Guabito (Panama). The land transporatation you have used to get to Sixaola will not go across the border line. 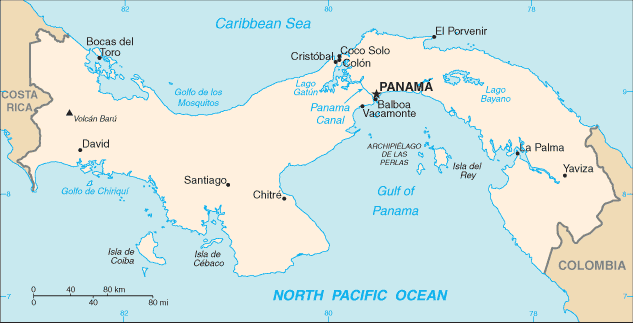 Once in Guabito (Panama) you must approach the immigration office so they can stamp your entrance to the country. 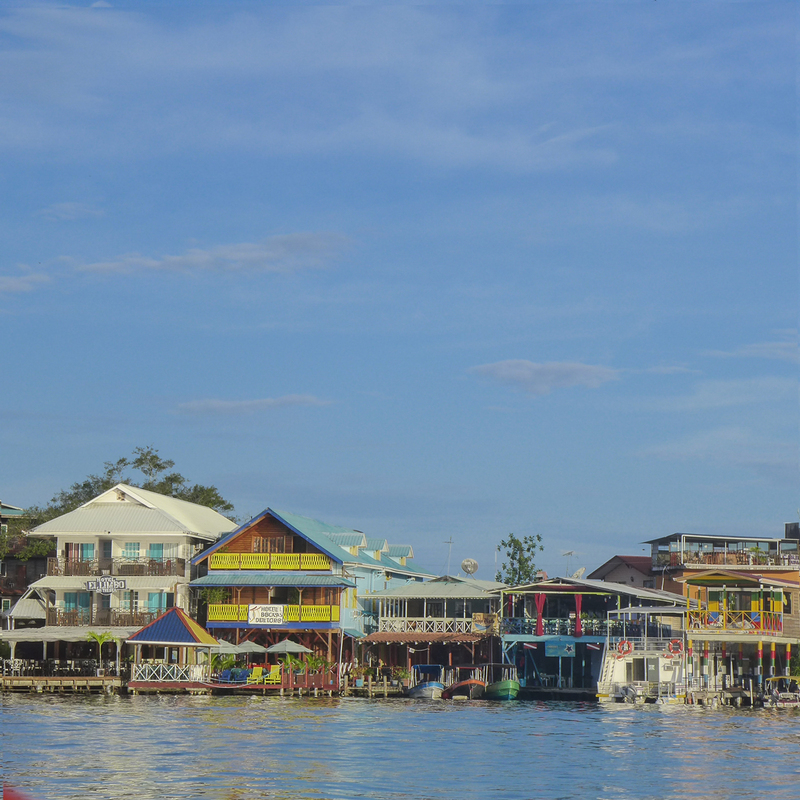 Once the bureaucratic process is over, you can bypass going to Almirante and take a water taxi directly from Changuinola to Bocas. First take a taxi (the fare for this service is about $15) all the way to Finca 60 in Changuinola, and tell him you want to go to the boat-taxi station of the Bocas Marine Tours company. The route goes through canals and rivers rich in wildlife, and where you can observe a great variety of birds and plants. The trip takes about 40 minutes. You can either take a one-hour flight from Albrook Airport (domestic airport as opposed to international airpot). Two airlines fly to Bocas: Mapiex, and Aeroperlas. 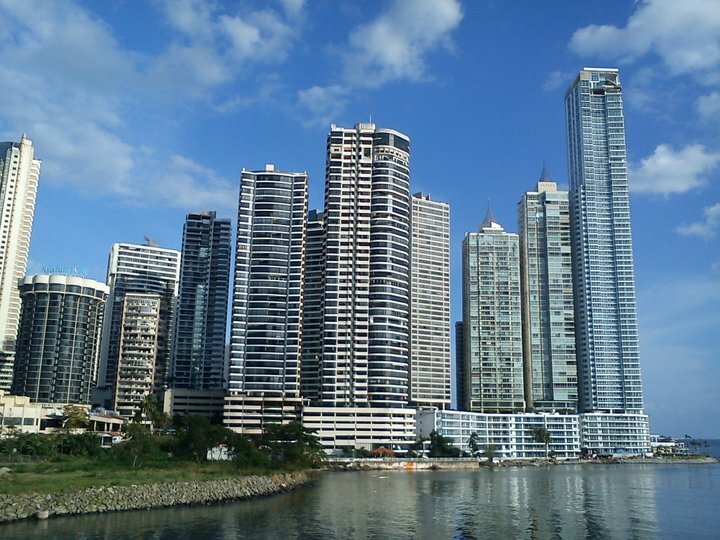 If you wish to drive, there is one road from Panama City, going to the coastal town of Almirante. 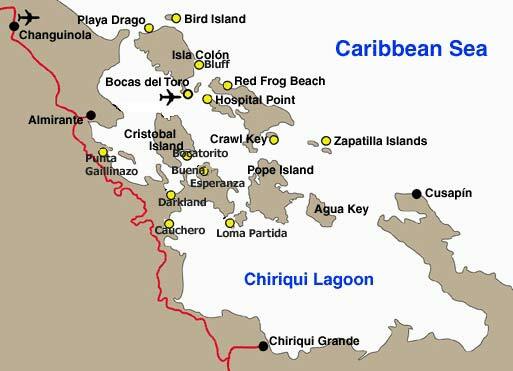 From there you will need to take the ferry to Bocas Isla (Isla Colon). If you wish to take a bus, you will first transfer in the City of David, then go to Almirante. From there you can take a water taxi (30 minute boat ride). These schedules are approximate – Times and cost subject to change. Directions get fairly simple, as there is only one road going away from town! 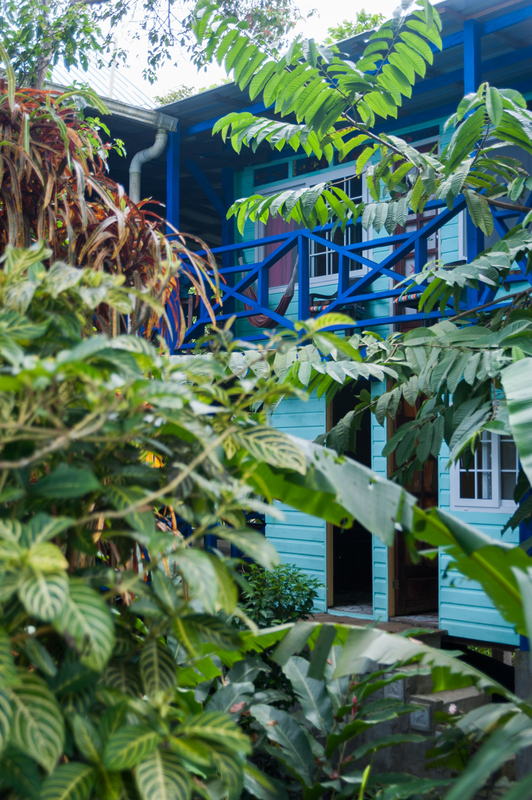 Once you have left town, that road will fork into two roads, at a spot appropriately called the “Y” or “Igriega” One road goes to the area known as Bocas del Drago, and the other goes to Bluff. You will be going to “Bluff”. If you are driving your own car, stay on the road that hugs the ocean (which will be on your right). The road to Bluff is in VERY BAD shape as of the time of this writing, and getting worse during the rainy season, and only 4×4 can reasonably expect to make it! If you are not driving, find a pick-up taxi, and ask them to take you to Tesoro Escondido at Bluff. At this writing, taxi charge anywhere between $10 and $20 to go to Bluff. If you provide us with your arrival information, we can schedule a taxi to pick you up. At the time of this writing, the taxis we work with charge $10 to $12. THE BEST HOLIDAY EVER ?